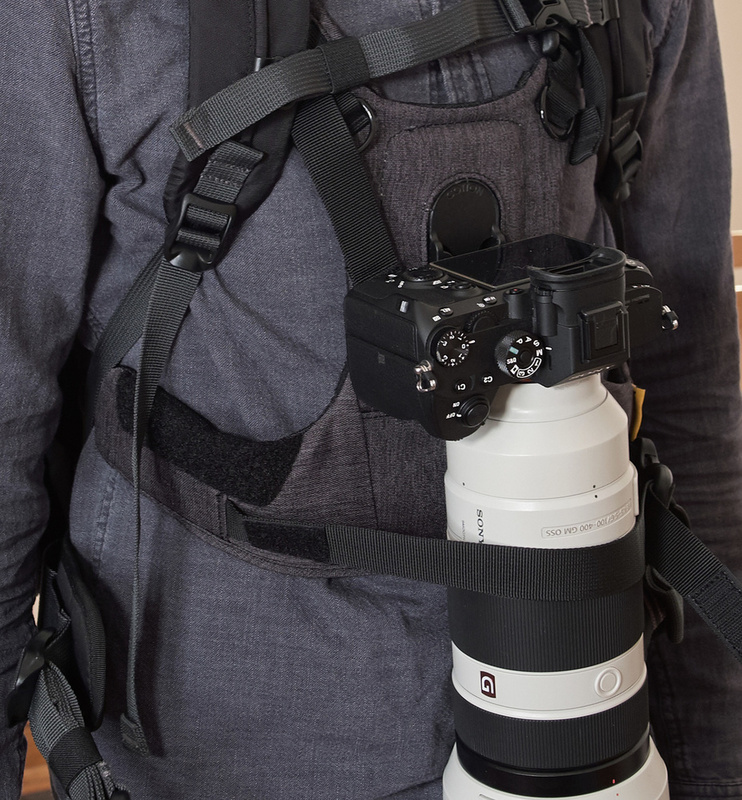 The Ultimate Camera Carrying System? If RoboCop were a photographer, what kind of camera carrying system would he use? A simple shoulder strap? No way. Some kind of belt holster? Hmm, getting warmer. The Cotton Carrier Systems G3 Camera Harness? Ding ding ding! 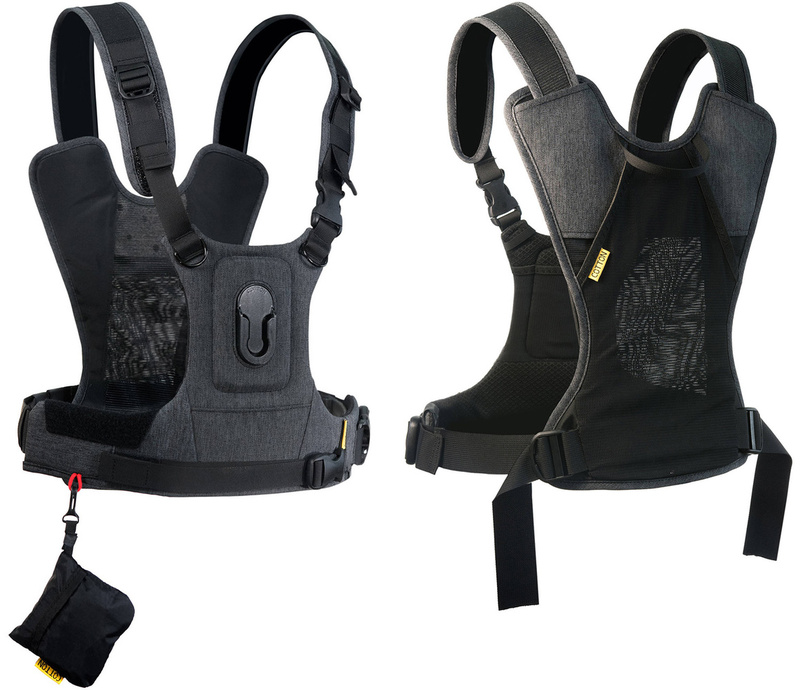 Cotton Carrier Systems released the latest iteration of their camera harness, the G3, in June of last year. Improving on their earlier designs, the new harness features more padding, built-in pockets for small item storage, a quieter lens stabilizer strap, a new rain cover, and a new RealTree Xtra Camouflage color option. 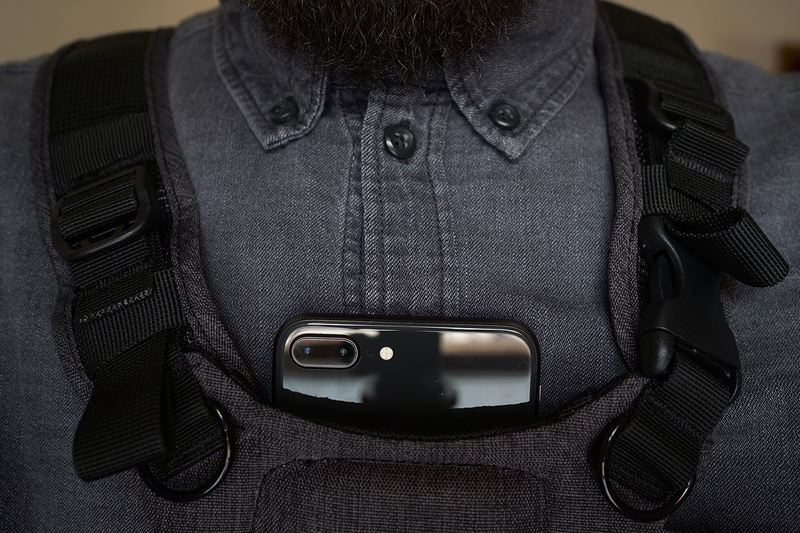 The CCS G3 is a vest-like carrying system that one dons over their head and rests on their shoulders, then buckles in to secure it in place. There are a variety of straps that can be loosened and tightened to get the right balance and sizing for this one-size-fits-all design. The idea is to have the weight of the camera centered on the body allowing for less strain and a hands-free form of carrying. Below is my review of what works and what doesn’t with the CCS G3. 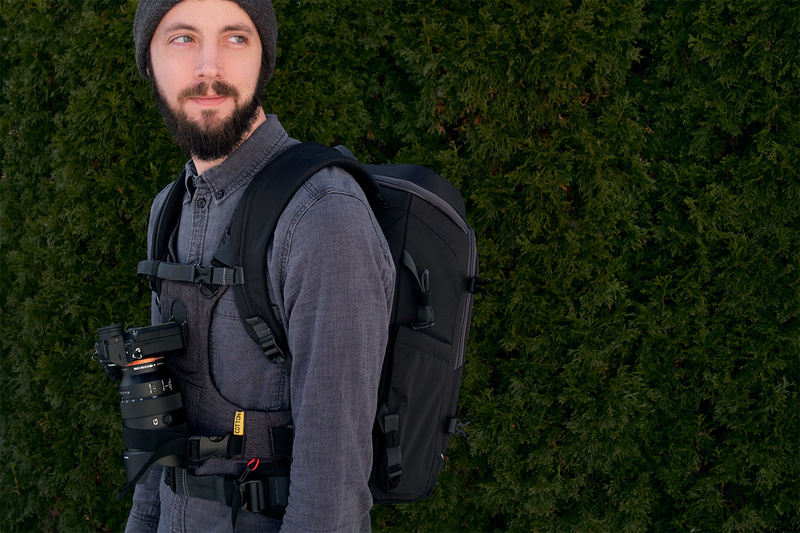 Unlike using a regular camera strap or even a strap mount for a backpack, the CCS G3 completely centers the weigh of the camera between both shoulders. If I’m carrying a heavier camera for an extended period of time with a strap, the shoulder its pressure is on gives up on comfort sooner or later. Personally, what I found is that although the camera is now centered between shoulders on my chest, it hangs a few inches too low even with the shoulder straps at their maximum tightness. This placed the bulk of the weight at the top of my belly and because of that I actually felt uncomfortable much, much sooner than using a typical camera strap. A key component to making the system work is the camera mount plate. The plate is circular and in use it only allow the camera to slide in and out of the holster when the lens is parallel with the ground. After sliding in the camera to the harness, gravity drops the lens downwards and becomes secured. The G3 plate is screwed into the camera’s tripod mount with a hex key and unfortunately does not have a D-ring so a tool will be required. The included plate is also not tripod compatible and instead one has to buy a separate $39 Universal Adapter Plate to get the camera on sticks with this system. Included camera plate for the CCS G3. 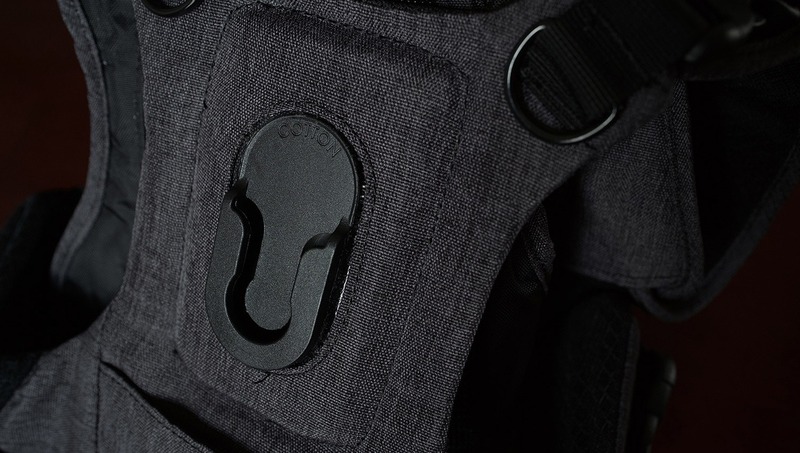 The G3 harness has multiple pockets for carrying small items. On the chest side, there’s one on the inside and one on the outside. The inside one I found could double as a quick point-of-view camera holster when I drop my iPhone 8 Plus in there while recording. On the back side, there’s a larger mesh one that can fit a standard-sized water bottle if forgoing any backpack. 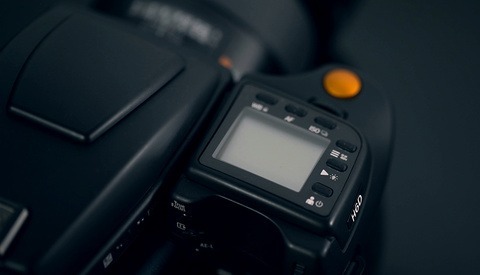 Included with the harness are a couple optional tethering straps that connect from the CCS G3 to the camera for added protection against accidental drops. There’s also a rain cover that folds into itself and has a tether on it as well so that it can hang off the harness to take with. Front pocket for small items. Not sure if my phone doesn't fit or if it's the perfect POV camera? Keeps the camera weight balanced between both shoulders. Standard telephoto zoom lenses fit. Has an easy-to-use strap to secure longer lenses for extra stability. Multiple pockets for carrying small items. Comes with a camera rain cover and tethering straps. Can be unfashionable while worn by itself, but looks fine to me while wearing a backpack. Gets warm while wearing it, and it’s the dead of winter right now. The shoulder straps aren’t physically able tighten up enough for me and the slack makes holstering a camera feel droopy. Camera holster is positioned too low. Would be way more comfortable mid-chest rather than just above the belly. I could start feeling discomfort with a telephoto much quicker than I thought I would. 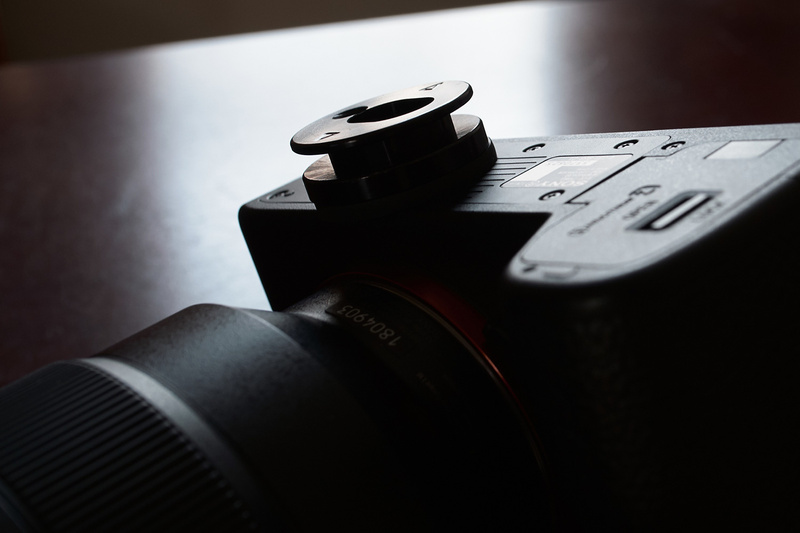 The plate mounted to the camera is not directly tripod compatible, and the screw requires a hex tool to take on and off rather than a D-ring. If you’re a frequent tripod user, the CCS will be a pain to use unless you pony up an extra $39 for the Universal Adapter Plate. In the end, I did not find the CCS G3 to have a clear advantage in carrying my camera and if anything I found it less comfortable to wear than a strap. I’ve never been called anything but skinny in my life, so perhaps this system will work much better for someone with a different body type — although I guess it’s not so one-size-fits-all, is it? Having the camera ready to go in front of me while still allowing myself to be hands-free was nice, however. The Cotton Carrier Systems G3 Camera Harness is available now in two colors, gray or RealTree camouflage, and in either a one-camera setup like the one reviewed here or a two-camera setup that adds the second camera to one side of the harness. 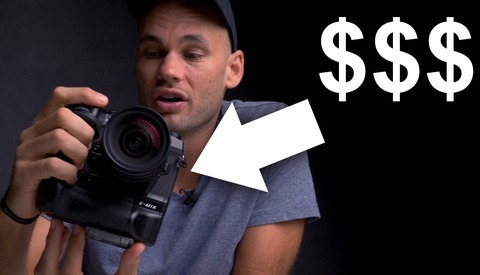 The one-camera setup costs $119 and the two-camera setup costs $159. Being an unapologetic male-chauvinist, baby-boomer pig the best camera equipment carrier is a Sherpa-wife. ........ I'm just happy that mine is patient enough to put up with my deliberate style of photography when we're together. In the heat of Texas...nope. People talk about camera vests looking ridiculous, this thing looks like a baby bjorn! Terrible, I’ll stick with Up Strap. I mean no offense, just sayin’. ditto above just noticed someone also had the same thought so yeah !!!! Try holding the camera with your hands. Seinfeld had the Manssiere. Phossiere? That thing looks hot as balls. Totally worth it, considering how stylish you’ll be at the next Mommy & Me meetup. Haha! 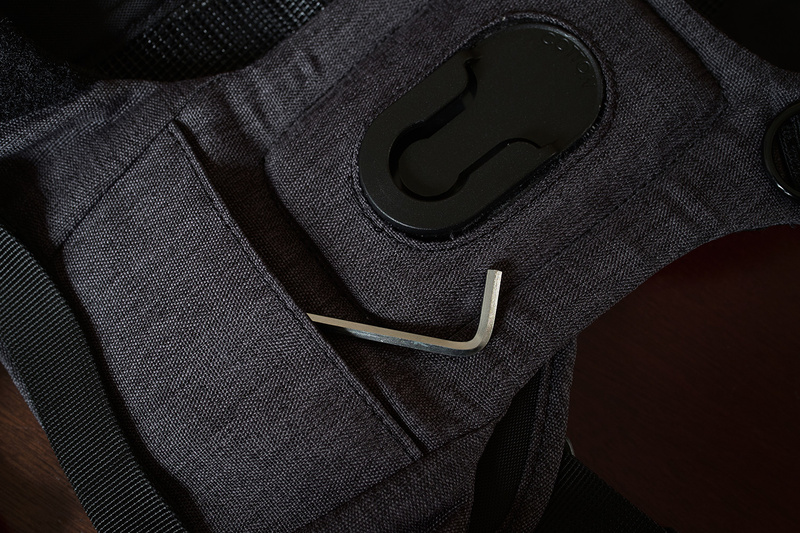 Just use the peak design clip on a backpack. Yep. I have 3 of them. Tripod compatible and can clip them almost anywhere. Even a telephoto lens on my shoulder strap is pretty darn comfy. Not to mention the Pro Pad belt attachment. I feel like this robocop thing is pretty excessive and much less flexible. I've been using a Peak Design recently too, works perfectly on my camelbak and holds my E-M1 and 40-150 f2.8 very comfortably. This product looks like it would get insanely hot when you add a backpack on top of it, I already get warm enough with just the camelbak while snowshoeing in the Rockies in the middle of winter. Can't imagine adding another layer on top of that. Yeah I feel like this wont be successful. You can't even feasibly pack this. what about fitting us fat kids ? maybe add a girdle to it ? at least it's black so it's a slimming color. Even the guy in the first photo knows this is wrong, all the while he is looking back at his group of friends (now ex-friends) who are pointing and laughing at him. I've been wearing the ThinkTank PRO speed belt with the modular pouches for years now. And although a necessary evil for the glass and crap I need to carry inside a sports venue, just the open mesh straps on my shoulders gets HOT inside. The idea of placing front and back panels on something is just insanity at best. It's hard to be a pack-mule in certain settings. The media room could be 10 minutes by foot, to say nothing about leaving something in your car 20-30 minutes away. 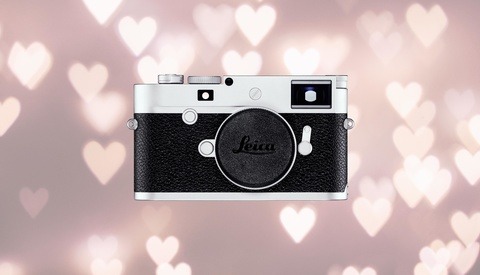 So you're basically a traveling camera store for all you need. The problem with these stupid reviews? They are written by people who don't actually work or use this stuff daily. Congratulations on not reading the stupid review. I have one and love it. To each his own i suppose.